You were wondering where the dogs had gone? Now you know. By devouring infected corpses, they have become zombies of unimaginable ferocity. The pack prowls around the city and can easily catch any prey. 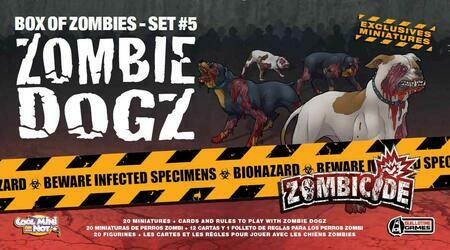 This box contains 20 Zombie Dogs for the board game Zombicide, they are ready to hunt down and devour the survivors unlucky enough to cross their path!